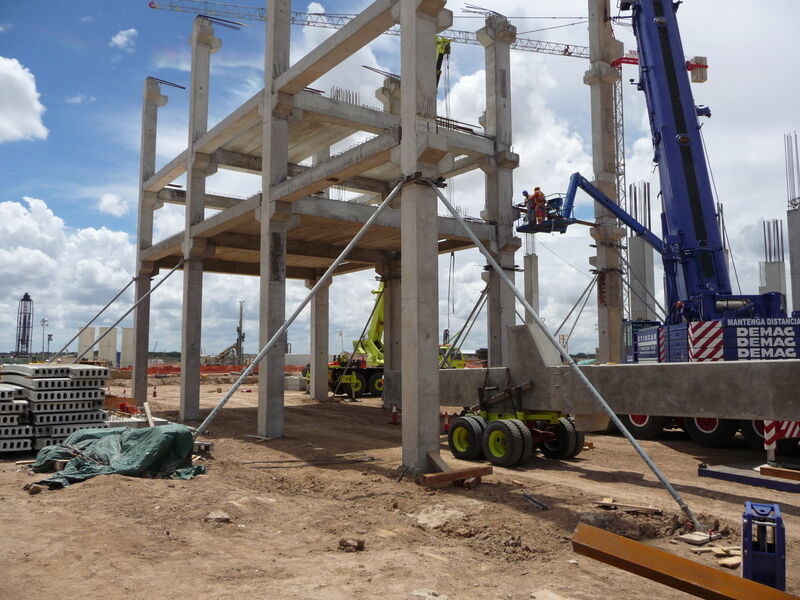 Peikko participated in the construction of the world’s largest and most innovative pulp mill in Uruguay. 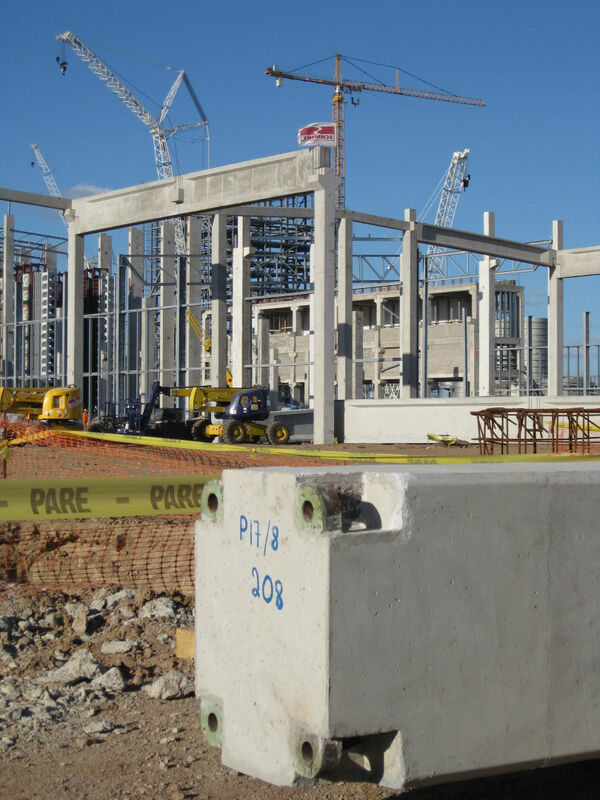 Peikko delivered to the site over 300 tons of various types of precast connections, such as Column Shoes, Anchor Bolts, Fastening Plates and Rebar Coupling Systems. 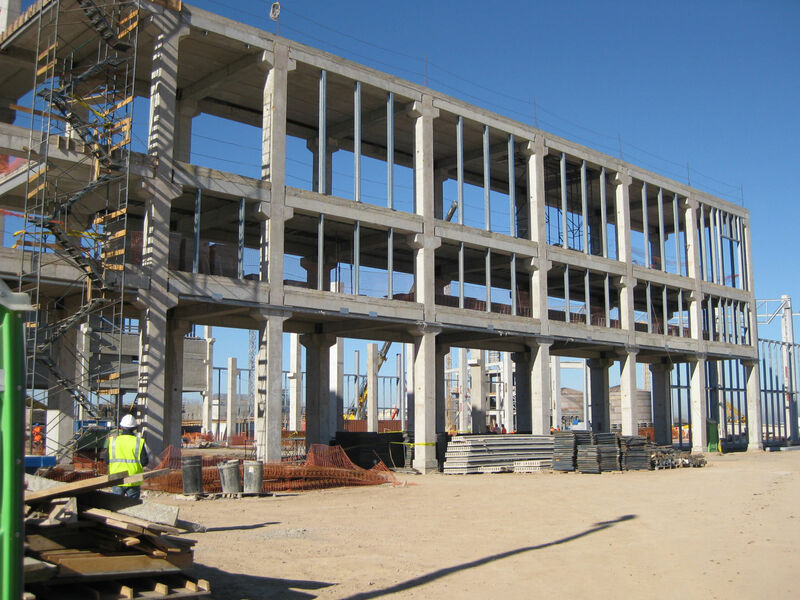 Peikko’s Spanish subsidiary provided technical support for the design of structural connections, and produced and delivered Peikko’s products to the site. Most of the deliveries were made in containers by cargo ships from Spain to Uruguay, but in more urgent cases they were dispatched to Uruguay by plane. The engineering of the non-process buildings was done by the Finnish engineering firm Pöyry and the Spanish Heymo, Pöyry´s subsidiary in Spain. Tommi Rissanen, Project Manager at Pöyry Engineering, said cooperation with Peikko Spain proceeded smoothly. “Peikko staff collaborated with us from the design phase on, solving the problems we identified. They coordinated and planned the deliveries from Spain to Uruguay and responded to issues promptly. They also visited the site in Uruguay several times, which made work for precasters and construction companies much easier,” Rissanen said. Hector Scelza, Engineering Project Coordinator at CSI, responsible for the engineering of the mill, said his firm had also been in a close cooperation with Peikko throughout the project. “Peikko’s technical department visited our headquarters in Montevideo several times to make our work easier and supported us until the design of the mill was ready,” he said. The cellulose pulp mill represents a venture to new pastures for Peikko, because it was the first time the firm delivered goods to South America. Topi Paananen, CEO of Peikko Group, noted the project paves way for Peikko’s expansion to South America in the future. “We are proud to be part of this large and demanding project. Peikko is not yet present with own operations in South America and the market is being developed by Peikko’s Spanish organization. But this project, as well as coming years, will show when and where we will start our own operations in the region,” Paananen said. 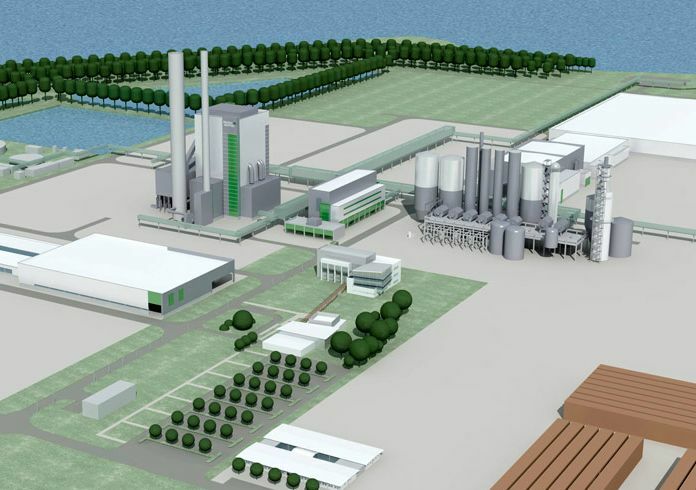 The world’s largest cellulose pulp mill will consist of several industrial buildings where wood chips or other plant fiber sources are turned to thick fiber board. The structures of these buildings are made of precast concrete, in-situ concrete and steel. Each stage of cellulose pulp manufacture is completed in a different industrial building. In the process buildings, Peikko supervised the design task and helped to standardize the connections between the HPKM® column shoes, with HPM® anchor bolts. 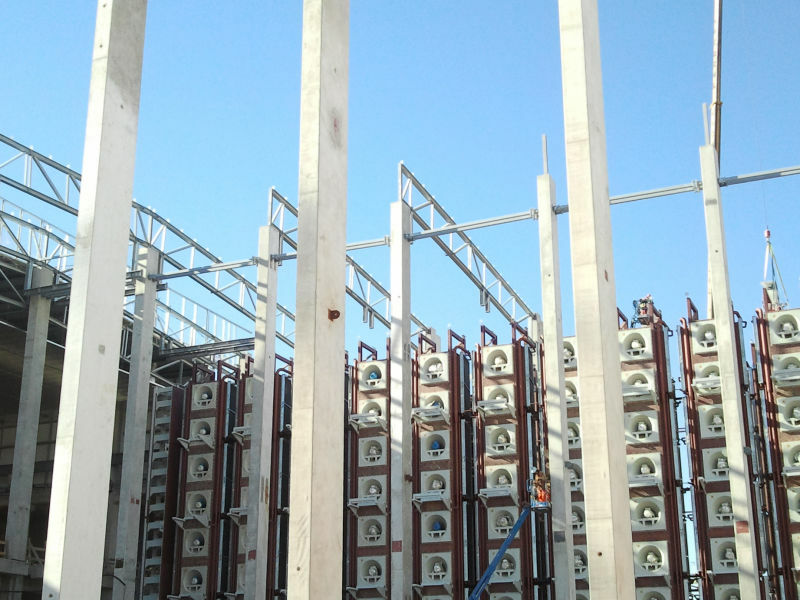 In some cases, for example in the pulp drying premises, it was necessary to use larger PEC® column shoes, because of the larger dimensions and capacity required for the columns section. 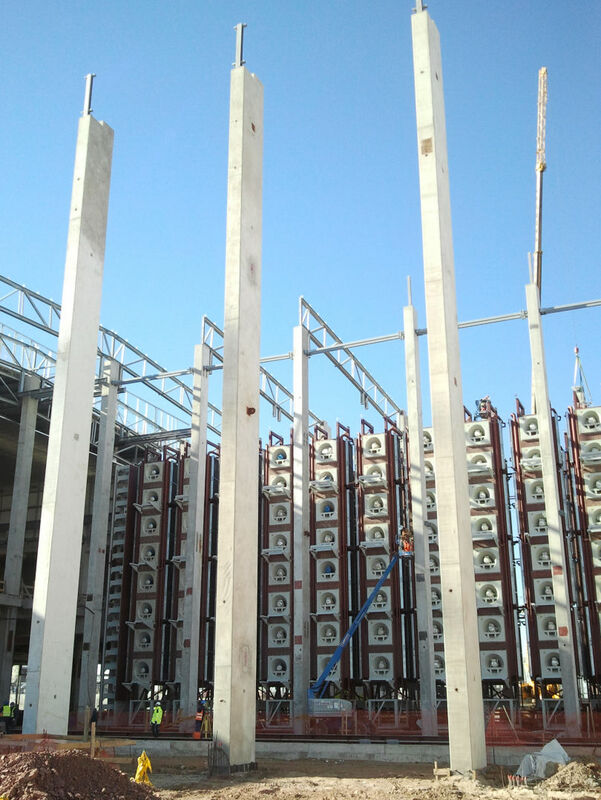 In the premises housing the fiberline, the columns were connected to the foundation using the standard HPKM® column shoes. In addition, rigid beam-column connections designed and supplied by Peikko were used. 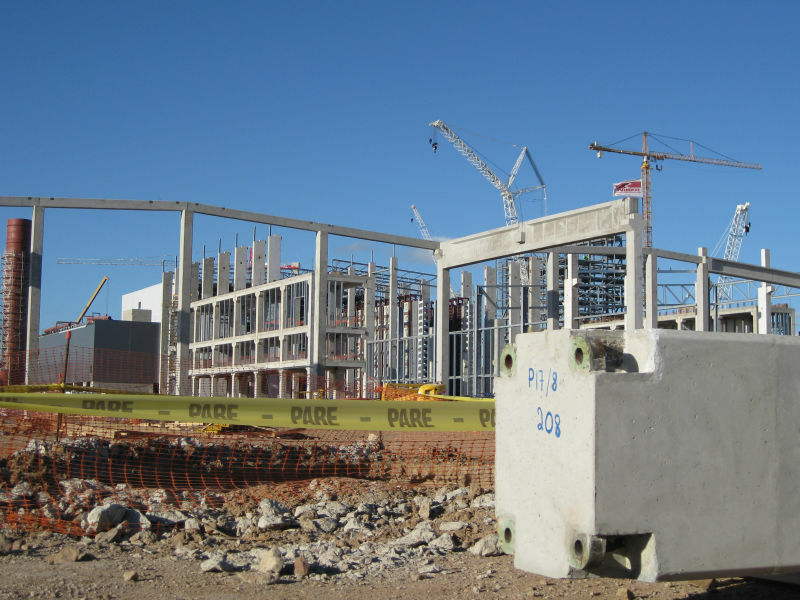 It was also necessary to use MODIX® rebar coupling system, in order to connect the reinforcement of the in-situ topping, which was 500mm in depth, with the precast columns. Some of the precast buildings where Peikko’s solutions were used, include the turbo generators and the pulp storage buildings. 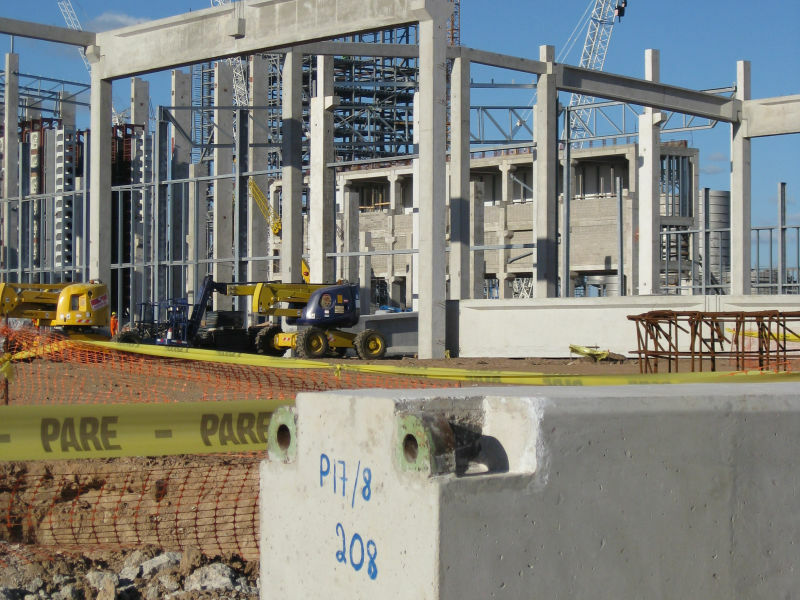 In the turbo generators building big PPM® anchor bolts were used with column shoes. In addition, hundreds of special big fastening plates in black steel, and Hot Dip Galvanized (HDG) treatments were used. It was also necessary to supply PPM® anchor bolts with HDG treatment. The pipe bridges building, on the other hand, is made of a steel structure, which was connected to the concrete foundation using almost one thousand of Peikko PPM® anchor bolts. Due to the geometry of the foundation it was necessary to use long anchor bolts. The engineering companies decided to use Peikko’s TERAJOINT® floor joints because of the heavy loads in the mill and technical requirements of the floor. Accordingly, Peikko designed a special height TERAJOINT® to fit the 300mm deep floor, and according to the needs of the subcontractor, who will install the joints. Around 2 600ml of specially designed joints were delivered to Uruguay. Enrique Hernandez, Managing Director at Peikko Spain, said using Peikko’s connections instead of traditional socket foundations made the construction process of the pulp mill more efficient and cut down on overall costs. Peikko’s connections made the foundation of the premises also thinner than it would have been if built using traditional systems. “This saved time as well as materials during the construction phase,” he said. Compared to traditional systems, Peikko’s solutions made the installation of the columns also safer. “The connection of the columns using the Peikko system is rigid immediately after tightening the nuts, so it is not needed to brace the structure during the assembly of the columns or during the process of grout mortar sets. No braces are needed and free access on the site is guaranteed. 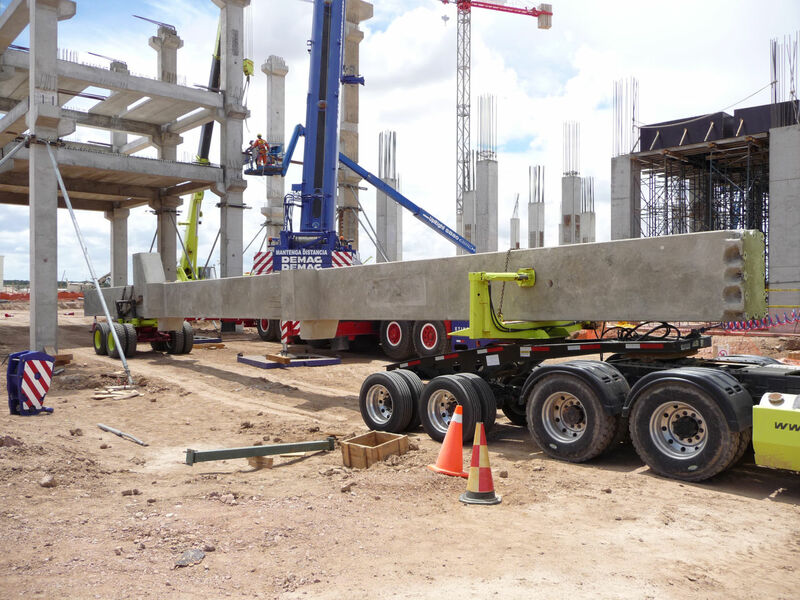 Faster assembly of precast structures also offers cost savings in cranes and employment costs,” Hernandez concluded. Peikko’s technical department visited our headquarters in Montevideo several times to make our work easier and supported us until the design of the mill was ready.